Fruit Tree Pruning to keep your trees productive, healthy and looking good. We are experienced fruit tree pruners of all types from a bush tree, an overgrown tree or a shaped fruit tree. It is a skill that requires extensive time and patience to perfect, to nurture a tree to optimum health and keep it at its most productive. Dead, dying or diseased branches are removed and crossing and rubbing branches to allow more light in to encourage more vigorous growth. Old, neglected trees are often vigorous and very large, with the fruit out of reach, these sometimes need to be rejuvenated over two to three seasons. 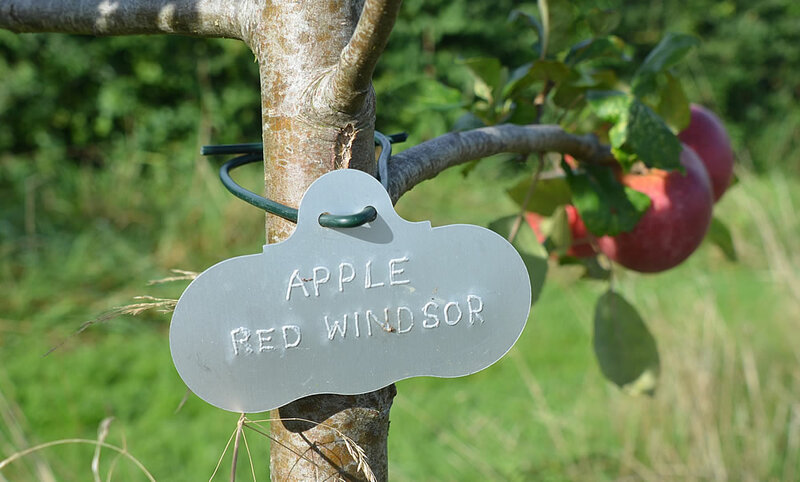 We can always offer advice on the ongoing care of your fruit trees once we have carried out the work in order for you to get the best out of your tree. We leave all sites tidy and will remove all debris. Fruit trees that are free standing or bush trees, such as those grown in an orchard should be pruned when they’re dormant, in winter. Trained trees, such as espaliers, cordons, pyramids and fans should be pruned in late August or early September. We carry out our fruit tree pruning services in Northamptonshire, Oxfordshire, & Buckinghamshire. We are a member of the Arboricultural Association, we are approved by Trading Standards and we are a member of Buy with Confidence.